The U.S. Embassy in Lithuania seeks proposals for a series of America-themed trivia contests to acquaint Lithuanians with America’s diverse culture and rich history, as well as to highlight the long-standing friendship between Lithuania and America. The project will run for two trivia league seasons (fall 2019 and spring 2020). On March 29, 2019, Lithuania celebrates its 15th anniversary as a member of NATO! On this joyous occasion, the U.S. 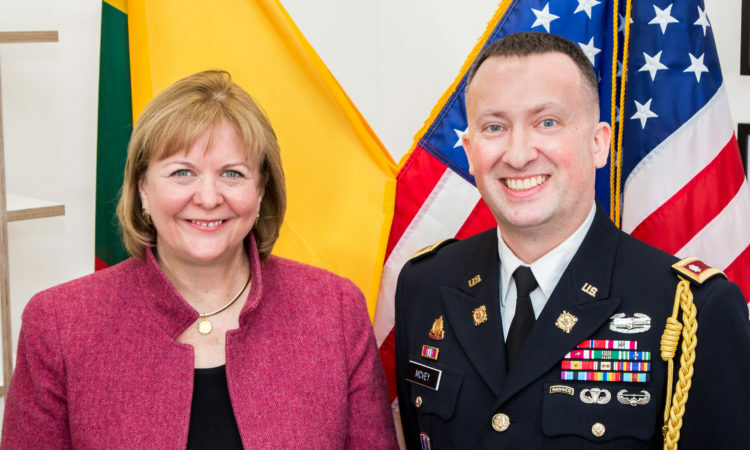 Ambassador to Lithuania Anne Hall and Defense Attaché LTC Robert A. McVey, Jr. send their greetings to Lithuania and Lithuanians! Volunteer Eimutis died while protecting a building which housed an assessment mission of the American Relief Administration, an organization which would provide more than four million tons of food to European countries, including Lithuania and the other Baltic states, following the First World War. The Global Entrepreneurship Summit (GES) uniquely gathers governments, the private sector, and a powerful partner network to turn challenges into business opportunities worldwide. This year, the U.S. State Department will hold the Summit at The Hague, Netherlands June 4-5. To increase Lithuanian capabilities the United States completed $4.1 million worth of projects at the Pabradė Training Center. Apply for Fulbright Graduate Student Program for Academic Year 2020-2021! The U.S. Department of State and IREX announce a program for outstanding international secondary-level school teachers to come to the U.S. for a six-week professional development opportunity - Fulbright Teaching Excellence and Achievement (TEA) Program. Application deadline: March 31, 2019. By U.S. Embassy in Lithuania | 21 December, 2018 | Topics: Education, News, Scholarships and Exchanges, Study in the U.S.
As the United States mourns the loss of President George H. W. Bush, President Trump has taken official action to allow Federal employees to join their fellow citizens in remembering our forty-first President of the United States. The embassy will be closed for normal business on December 5, 2018. Thank you for joining us this afternoon to discuss an incredibly important topic – sexual harassment and sexual violence. We began this conversation last year and as we have seen worldwide, it is vital that we continue addressing this issue. There is a new way to obtain your visa without an interview. Starting on Nov 5, 2018, the U.S. Embassy Consular Section will offer an interview waiver process to selected Lithuanians. USAID’s Civil Society Organization (CSO) Sustainability Index for Central and Eastern Europe & Eurasia reports on the strength and overall viability of the NGO sector in these regions’ countries. The 21st edition of the Index was presented in Washington in September 2018. Gyvename skaitmeniniame amžiuje iš visų pusių apsupti informacijos srauto ir tampa vis sunkiau įvertinti jos tikrumą ir patikimumą. Mūsų dienomis informacija tapo ginklu kibernetinėje erdvėje. Į Lietuvą nukreipta organizuota dezinformacijos kampanija, kuria siekiama paminti lietuvių pasitikėjimą savo vyriausybe, Jungtinėmis Amerikos Valstijomis ir demokratinėmis institucijomis, kurioms Lietuva priklauso. Kaimyninės šalys taip pat patiria panašias atakas. The U.S. Embassy in Vilnius is requesting quotes for two guard/police booths. If interested, please see the attached scope of work (SOW) and submit your quotes by 9 a.m. September 14th, 2018 to the email address. Welcome to the U.S. Ambassador’s residence. I am delighted to host this gathering for teachers and students to celebrate the beginning of a new school year. All of us at the U.S. Embassy believe that our partnerships with teachers and students are foundational to the future of relations between the U.S. and Lithuania. The U.S. Department of State is going paperless! The U.S. Department of State is going paperless! Immigrant Visa (IV) packets are now transmitted electronically to Customs and Border Protection and are accessible at the U.S. Port of Entry. The U.S. Embassy in Vilnius announces an open competition for organizations to submit proposals to carry out a Social Inclusion of Persons With Disabilities Program in Lithuanian municipalities. The initial period of performance will be for 12 months. On August 1-2, a U.S. Congressional delegation from the House Appropriations Committee visited Lithuania. The delegation was led by the U.S. Representatives Harold Rogers (R-KY) and Rodney Frelinghuysen. 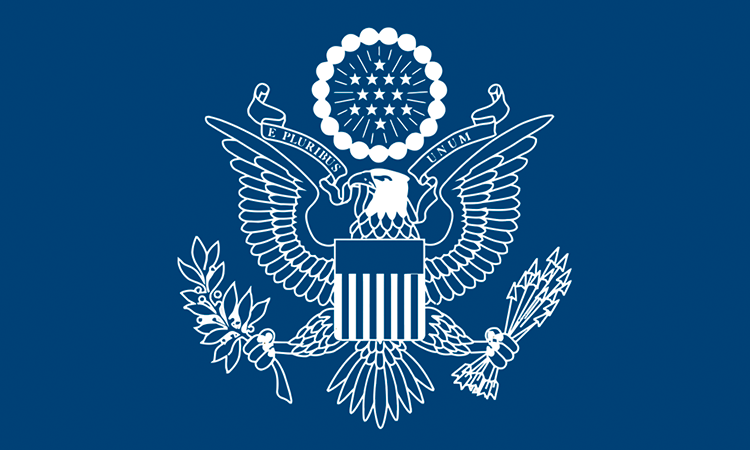 The Hubert H. Humphrey Fellowship Program is a Fulbright program that brings accomplished young and mid-career professionals with demonstrated leadership potential to the United States for a year of non-degree graduate-level study, leadership development, and substantive professional collaboration with U.S. counterparts. I’m honored to be celebrating the arrival of another U.S. company to Lithuania. The arrival of Bazaarvoice demonstrates the strong and growing ties between our countries’ innovation and technology sectors. It is a great honor and privilege for me to take part in this groundbreaking ceremony for the Lost Shtetl Museum. This past December, I had the wonderful opportunity to visit Šeduva and learn about this unique project. It is a great honor to serve as the U.S. Ambassador to Lithuania during the centennial celebration of the restoration of Lithuanian statehood. The United States has proudly called Lithuania a friend for the past century. U.S. Ambassador in Lithuania Anne Hall announces the new round of applications for the annual Lithuanian-American Innovation Award worth of €10.000. Launched in 2016 by the Baltic American Freedom Foundation (BAFF), the American-Lithuanian Business Council (ALBC), and the U.S. Embassy in Vilnius, the Award highlights and promotes innovative cooperation between the United States and Lithuania. Baltic-American Freedom Foundation Leadership Academy invites all 11th graders from the Baltic countries to take part in the competition for the BAFF Leadership Academy summer program. Application deadline is March 4, 2018. For application forms and competition requirements, please visit BAFF website. It is a great privilege for me to be here today. The opening of the Samuel Bak Museum in Lithuania is a historic milestone for U.S.-Lithuanian friendship. We are enormously grateful to the Vilna Gaon Jewish Museum and the Pucker Gallery in the United States for their phenomenal efforts. Message from Secretary Tillerson on the 242nd Anniversary of the U.S. Marine Corps as delivered by the Ambassador Anne Hall at the anniversary ball on November 10, 2017, in Vilnius. Kazickas Family Foundation and non-profit organization ASSIST Inc announced an open call for for 2018–2019 academic year scholarships. Application deadline: Saturday, November 25, 2017. By U.S. Embassy in Lithuania | 27 October, 2017 | Topics: Culture, Education, Scholarships and Exchanges, Study in the U.S. 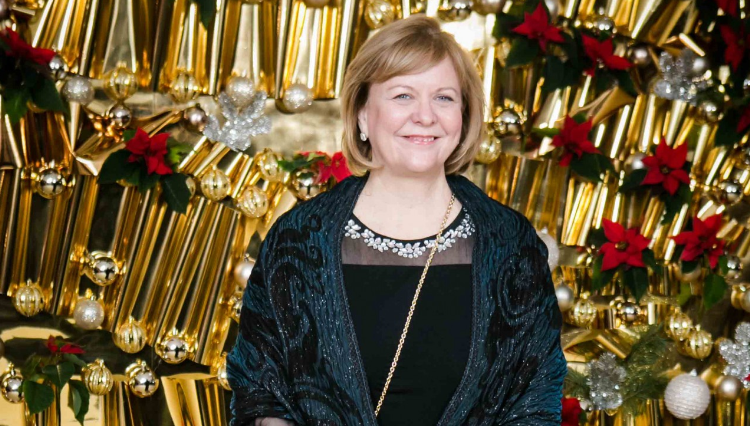 Ambassador Hall’s Remarks at a Concert of “Lumenaria Chorale” from Washington D.C. I am pleased to join you today as you take an important step toward becoming a professional board member. The Baltic Institute for Corporate Governance’s Professional Board Member Education program will equip you with the skills and knowledge necessary to make this region a true global leader in corporate governance. On September 1, 2017, The Department of State issued European travel alert for U.S. citizens because of the continued threat of terrorist attacks throughout Europe. This travel alert expires on November 30, 2017. On August 29, 2017 Chargé d'affaires Howard Solomon participated at the launch ceremony of the new Radio Free Europe/Radio Liberty transmitter in Vilnius and delivered his remarks. Remarks given by Chargé d'affaires Howard Solomon at the Commemoration of the 77th Anniversary of the Sumner Welles Declaration in Vilnius on July 20, 2017. On June 13, Ambassador Hall welcomed participants of the European Refugee Integration Technical Assistance Project Workshop on Resettlement and Integration, designed to share U.S. refugee resettlement and integration experiences with practitioners in ten European countries. On June 2, Ambassador Hall participated at the graduation ceremony of the American International School of Vilnius (AISV). On May 2, Ambassador Hall participated in the opening of Western Union Customer Experience Center in Vilnius. Western Union’s commitment to customer service, anti-money laundering compliance and corporate social responsibility represents best practices in the business world today, no matter where you are. The Department of State alerts U.S. citizens to the continued threat of terrorist attacks throughout Europe. Recent, widely-reported incidents in France, Russia, Sweden, and the United Kingdom demonstrate that the Islamic State of Iraq and ash-Sham (ISIS or Da’esh), al-Qa’ida, and their affiliates have the ability to plan and execute terrorist attacks in Europe. 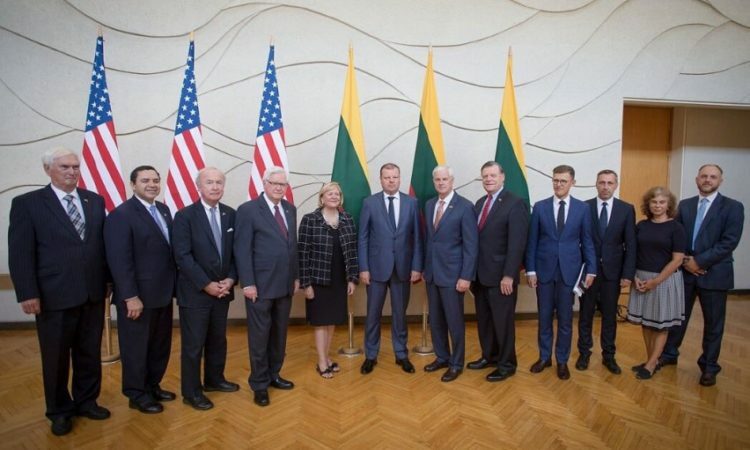 DCM Howard Solomon (April 21): "I would like to convey the United States’ deep appreciation and support for all this Center represents, for Lithuanian, regional, and worldwide security." On March 30, Ambassador Hall participated in the official announcement ceremony of the expansion of UPS’s operations in Lithuania. On March 30th, Ambassador Hall and Lithuanian Minister of Education and Science Jurgita Petrauskienė signed a memorandum of understanding of the Fulbright Exchange Program. The memorandum will provide a stronger framework for the program that has existed in Lithuania for 25 years. The U.S. Embassy informs U.S. citizens that on Friday, March 10, 2017, the City of Vilnius issued an emergency warning concerning Legionella bacteria (Legionnaire’s Disease) identified in the hot water systems in two residential properties in the Zirmunai district, at Tuskulenu gatve 5 and Ladygos gatve 3. Ambassador Hall: "The U.S. is paying attention to what is happening in the Baltics. The United States welcomes Lithuania’s commitment to meeting and surpassing NATO’s important benchmark of 2% on defense spending." On March 6th, U.S. Department of State released 2016 Country Reports on Human Rights Practices. Reports cover internationally recognized individual, civil, political, and worker rights, as set forth in the international agreements. On March 2nd, Ambassador Hall delivered remarks at the first ever American-Lithuanian Defense Forum. American-Lithuanian Business Council, the Baltic American Freedom Foundation, and the U.S. Embassy in Vilnius announced the winner of the first-ever Lithuanian-American Innovation Award. 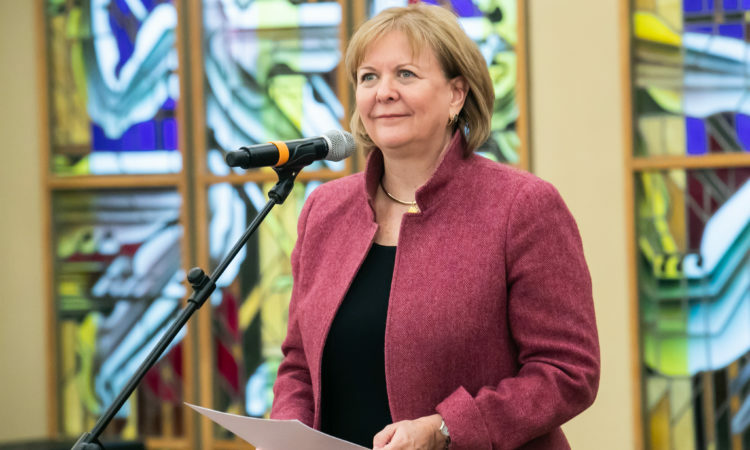 Ambassador Hall (March 1): "This is the largest business mission ALBC has ever brought to Lithuania, which shows Lithuania’s progress in making itself a business destination. I hope this visit is just one sign of a stronger commercial relationship between the U.S. and Lithuania." 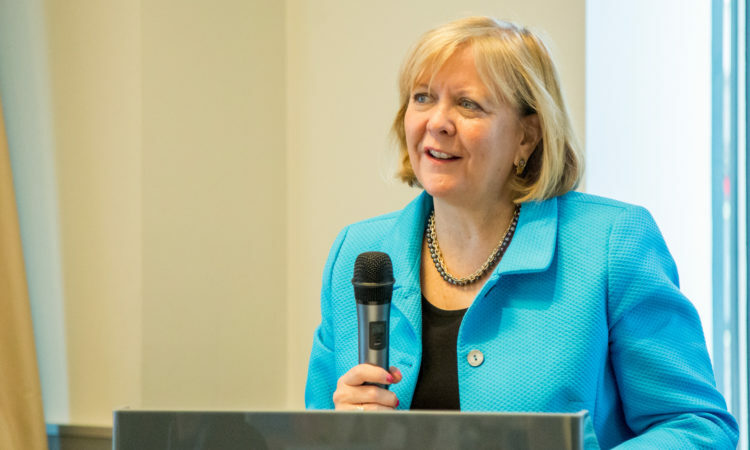 On February 15, Ambassador Hall delivered remarks at the Capstone Promotion Event. On October 7, U.S. Ambassador to Lithuania Anne Hall presented diplomatic credentials to the President of Lithuania Dalia Grybauskaite. After the ceremony, Ambassador Hall and President Grybauskaite discussed further steps to strengthen strategic partnership of the U.S. and Lithuania. As NATO allies, the United States, Estonia, Latvia, and Lithuania remain unwavering in their commitment to mutual defense, including building national resilience in line with the pledge made by all allies at the Warsaw Summit. Caution with information on the continuing threat of terrorist actions and violence against U.S. citizens and interests throughout the world. Current information suggests that ISIL, al-Qa'ida, Boko Haram, al-Shabaab, and other terrorist groups continue to plan terrorist attacks in multiple regions.